SNASM2 is a set of development tools for the Sega Saturn. 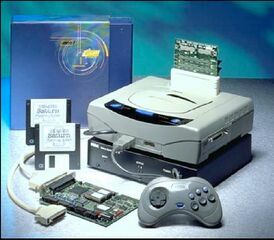 Initially a third-party alternative to creating Saturn software, it was adopted by Sega as an official set of tools after Cross Products were purchased outright by Sega of America. The SNASM2 system is essentially split into two parts - an assembler, which takes code written in assembly language and creates an executable for the Saturn hardware to run (in *.coff format), and a debugger, allowing for real-time software debugging.